The PUBG Mobile is all set to bring the new update for the lovers of the multiplayer battle royale game that will allow players to play as a zombie. 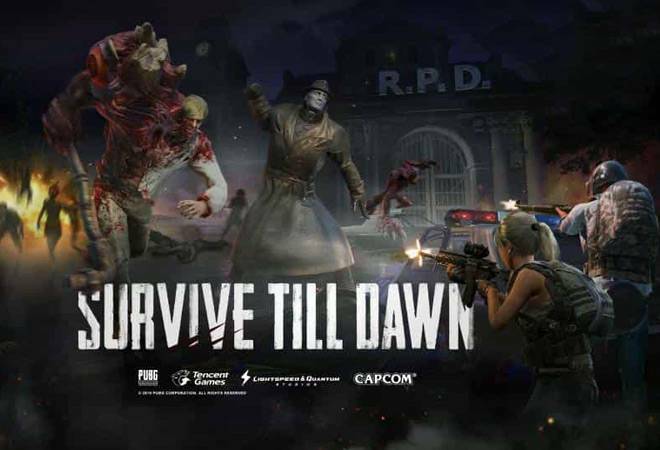 PlayerUnknown’s BattleGrounds, popularly known as PUBG recently released a zombie mode in partnership with Resident Evil 2 as part of it fifth season. The developers of the game could now be adding new gameplay mode where players can witness different types of zombies or play as one. So, with the next update to the PUBG Mobile, you could end up playing as a zombie and attack other players. Zombie Mode has been the most sought after gameplay addition to the PUBG Mobile. It came with the update 0.11.0 and brought several scary update with fog making it difficult to spot the zombies. Also, there are different kinds of zombies. There are the ones who just walk slowly towards you but there are also zombies that can run. There are acid spitting zombies, and the monster zombies who can be killed only by firing around 50 bullets towards them. The news of the new zombie mode was leaked by the YouTuber MrGhost Gaming. However, there is no information regarding the availability of the new mode. Expectations are rife that the mode could be made available with the version 0.13 or the 0.14 of the game. It might be similar to the humans vs zombie mode that is available for the PC version of PUBG. Meanwhile, top 20 squads from India would be fighting it out in the best of 5 series for a total prizepool of Rs 1-crore. The grand finale will take place at GMC Balayogi indoor stadium on March 10. The winner of the competition will get Rs 30,00,000 as the prize money. The runner up will take home Rs 10,00,000 and the 3rd prize winner will get Rs 5,00,000. All in all, the first ten teams earn cash prizes with the person at the 10th place winning Rs 50,000.